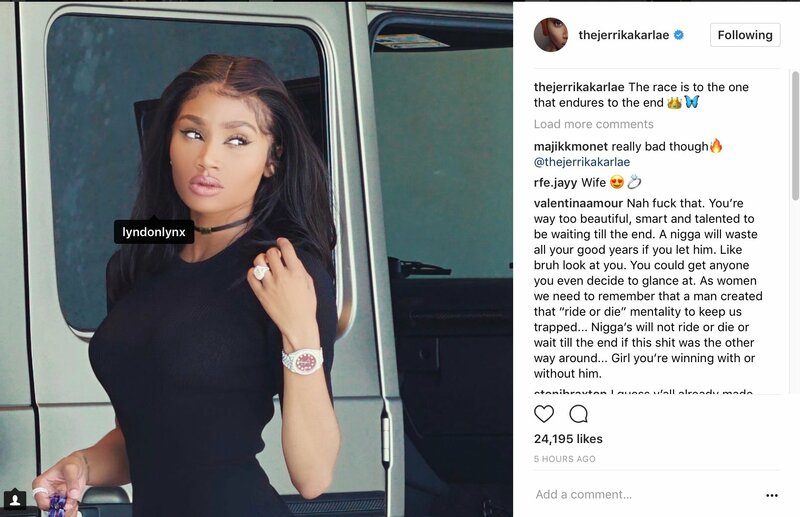 More details have poured out in the sudden and alleged Young Thug/Jerrika Karlae split. A new report has surfaced and provided more insight on the rumored love affair. The latest gossip buzz suggests Thugger and the unnamed affiliate had close ties to Karlae. 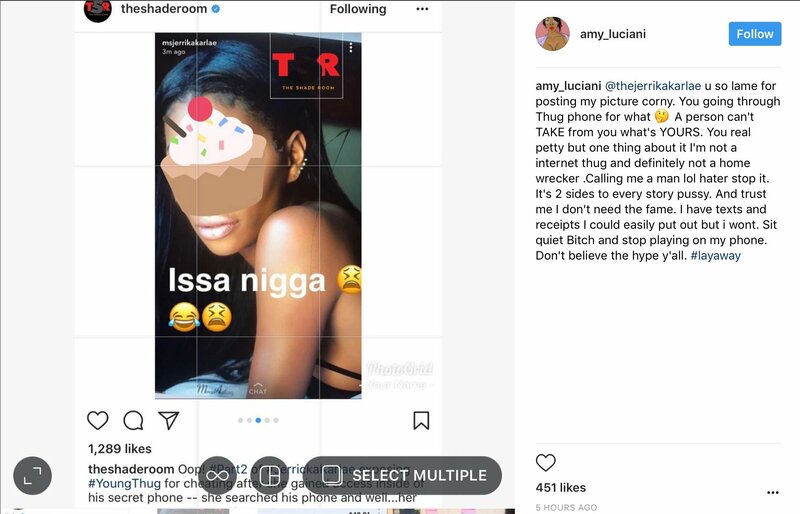 Earlier in the day, Jerrika and musician Amy Luciana spoke up after trading jabs with one another. Early Tuesday, Amy clapped at Jerrika for exposing her face. Oop! 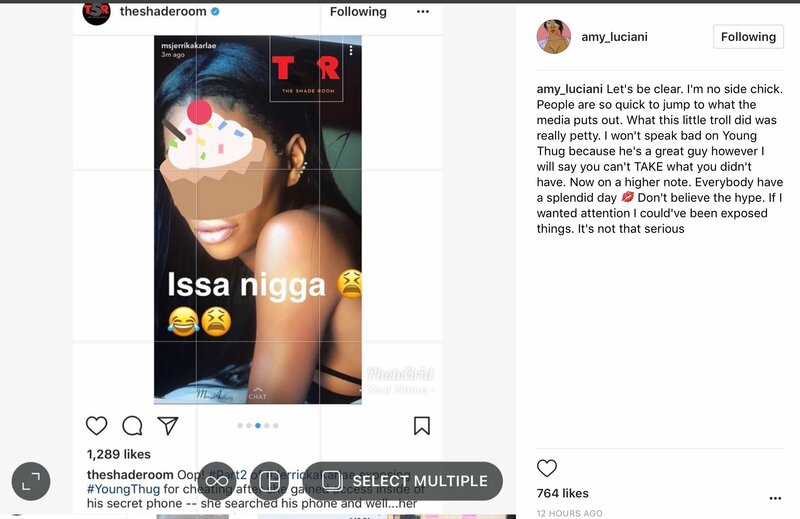 😩 #Part4 : #AmyLuciani (One of #YoungThug 's alleged mistresses) is still coming for Thug's fiancé #jerrikakarlae ! The same morning, Jerrika hit up social media to expose Thug’s alleged side chick.